I can’t count the number of times over the last few weeks that random emails popped into our inbox telling us that our new commercials, especially the one with the animals, are amazing. After the Super Bowl, we heard a dozen times, “This should have been played during the game! It would have been the best commercial!” Of course, these Android “be together. not the same.” commercials are not ours, they are Google’s. But one thing is clear – people absolutely love ’em. In the most recent two, Google goes in two directions – one to show different people, young and old, coming together to enjoy life. 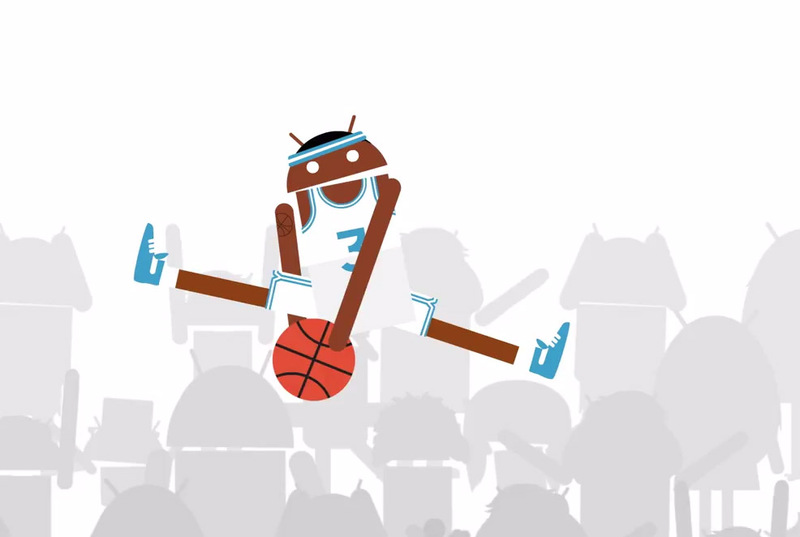 The other, well, it’s all about that Androidify selfie dunk. Come on, tell me you haven’t wanted to selfie dunk? Tuesday Poll: Missing SD Card Slot, Waterproofing, & Removable Battery – Dealbreaker on the Galaxy S6?